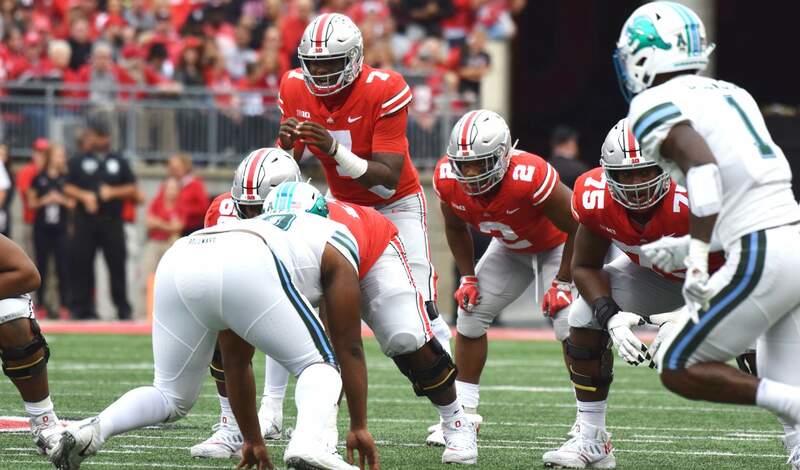 COLUMBUS, Ohio – Ohio State took control early behind the passing of Dwayne Haskins Jr. and cruised to a 49-6 win over Tulane (1-3) Saturday at Ohio Stadium. The Buckeyes (4-0) recorded 570 yards of total offense behind Haskins’ 304 passing yards, all tallied in the first half. In just two quarters of work, Haskins completed 21-of-24 passes for five scores. 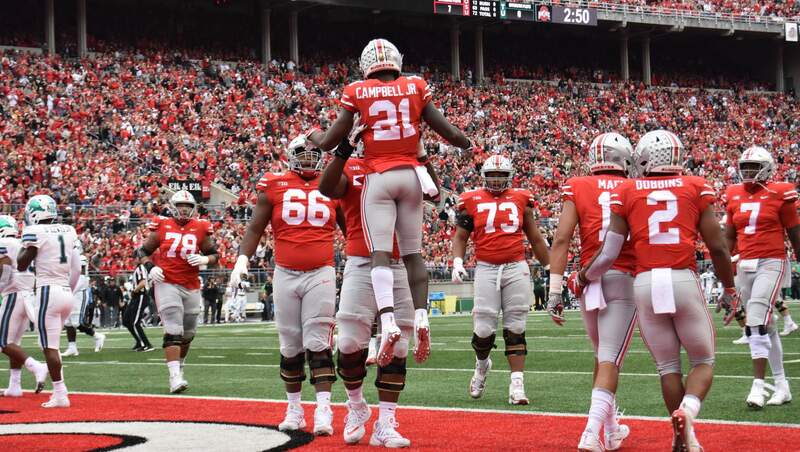 Parris Campbell was the primary target for Haskins. Campbell caught eight passes for 147 yards, both career highs, and a pair of scores. 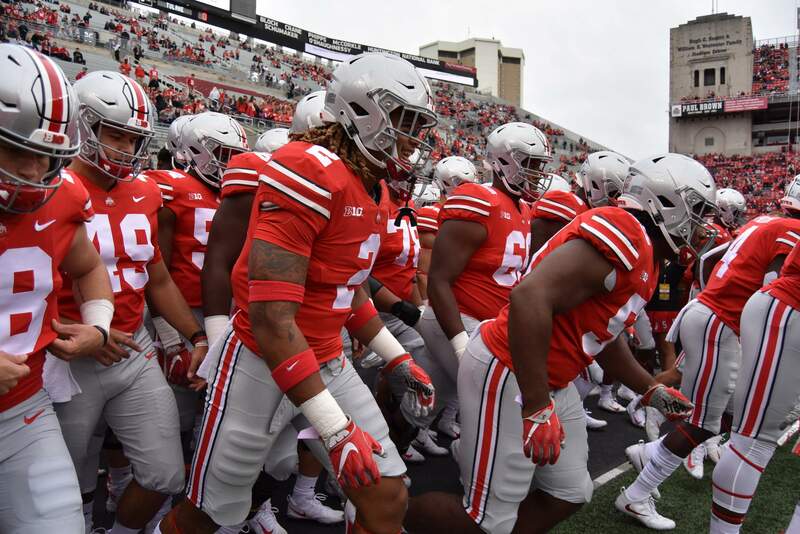 Ohio State returns to action next Saturday against Penn State in State College, Pennsylvania. Kickoff is set for 7:30 p.m. with ABC providing the television coverage. 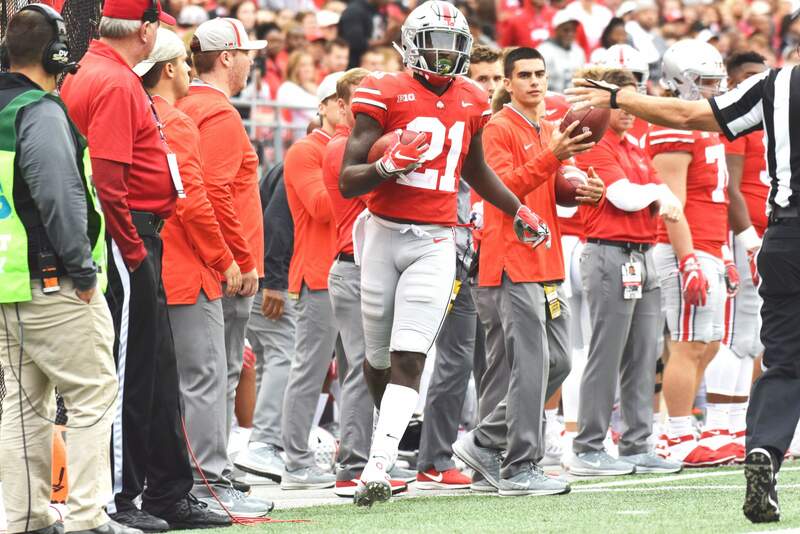 Dwayne Haskins Jr. threw a 14-yard touchdown pass to Parris Campbell for Ohio State’s first score with 11:19 on the first quarter clock giving the Buckeyes a 7-0 lead. Haskins threw for 74 yards on the drive, which covered 91 yards over 3:41 on nine plays. Campbell caught two passes for 49 yards on the opening drive. Tulane punted on its opening possession giving the Buckeyes the ball on its 44 after a K.J. Hill return of 17 yards. Haskins again led the Buckeyes down the field for a score, this time a 17-yard pass to Terry McLaurin with 6:56 left. The drive covered 56 yards on eight plays and knocked 2:50 from the game clock. Haskins was 7-7 passing for 112 yards on the first two drives of the game for the Buckeyes. Baron Browning sacked Tulane quarterback Jonathan Banks forcing a Green Wave punt from its 47. The Buckeyes took over after a Hill fair catch at the OSU 7. 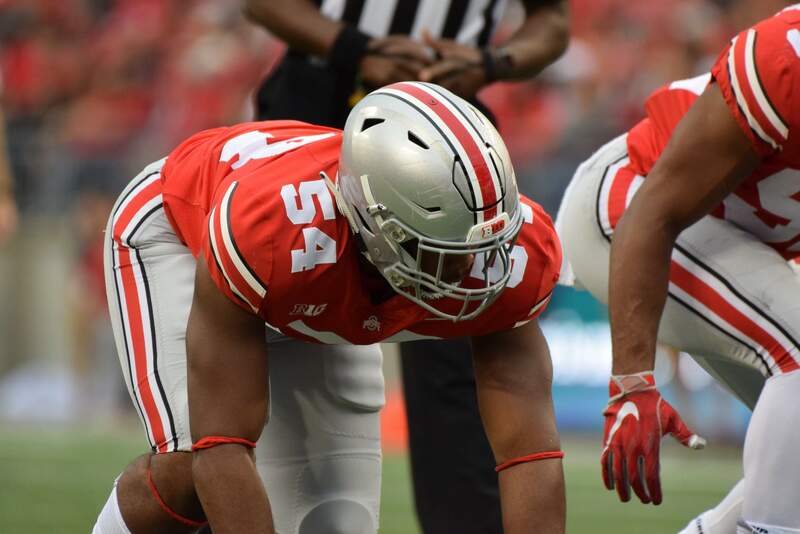 The Buckeyes made it 21-0 after a 37-yard Haskins pass to Campbell completed a seven-play, 93-yard drive with just 32 seconds remaining in the quarter. Haskins ended the first 15 minutes 10-of-11 passing for 171 yards and three touchdowns. Tulane scored on the opening drive of the second quarter. 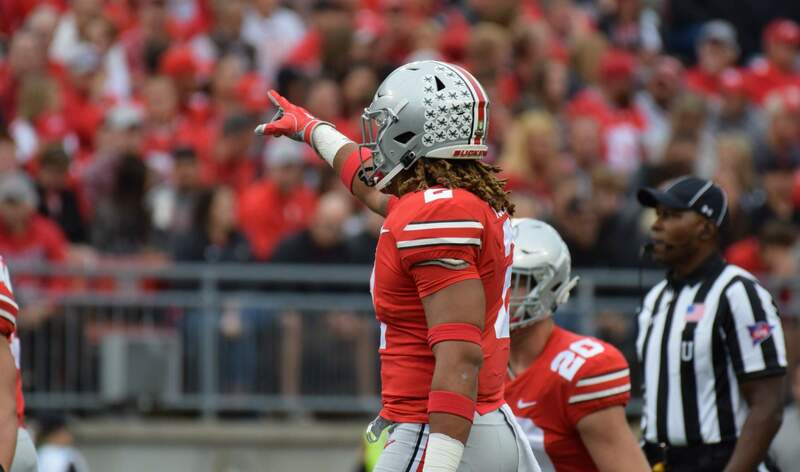 The drive was aided by a 38-yard pass play to the Ohio State 1-yard line. The Green Wave scored two plays later on a 2-yard run capping a 10-play, 75-yard drive over the first 4:56 of the second quarter. The Buckeyes blocked the try for the extra point. 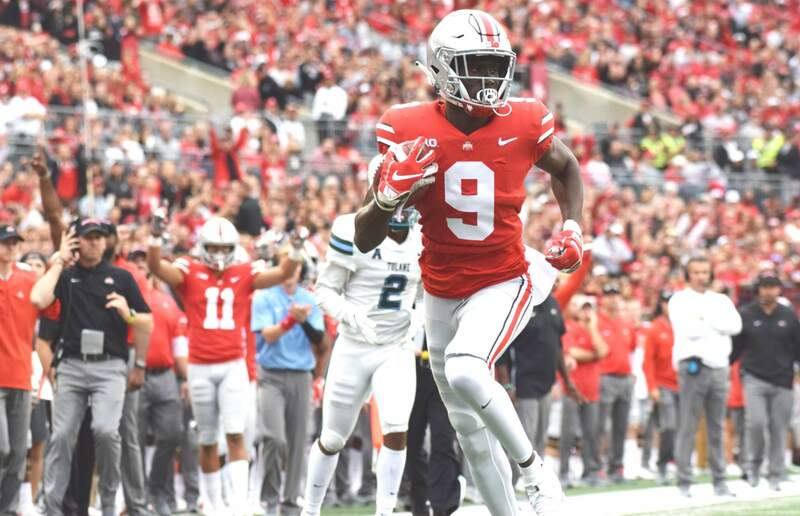 Ohio State answered with a 31-yard Haskins scoring pass to Binjimen Victor making the score 28-6. The drive covered 81 yards on seven plays over 2:29. The Green Wave punted on its next possession giving the Buckeyes the ball on its 41 after a K.J. Hill 2-yard return. 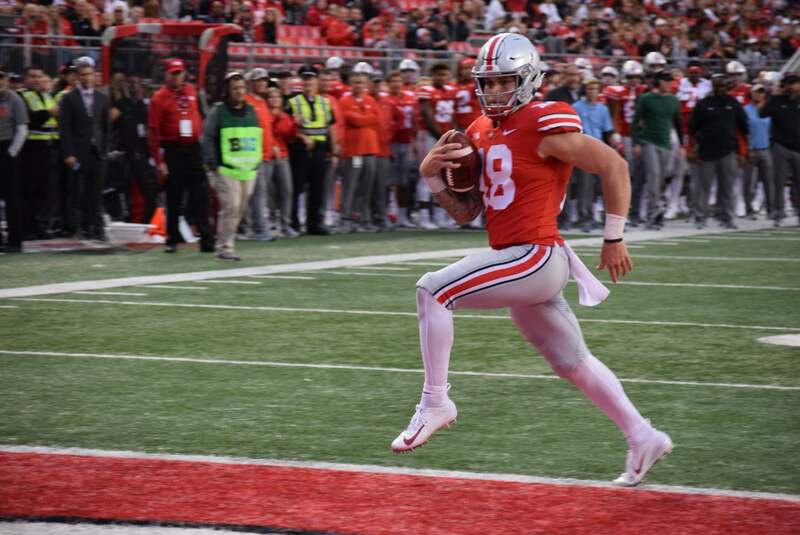 Tate Martell entered the game at quarterback on Ohio State’s next possession and promptly rushed for 19 yards on his first play from scrimmage. Five plays later, J.K. Dobbins took the ball up the middle for an 8-yard score to give the Buckeyes a 34-6 lead. The scoring drive covered 59 yards on six plays with 3:31 left in the half. 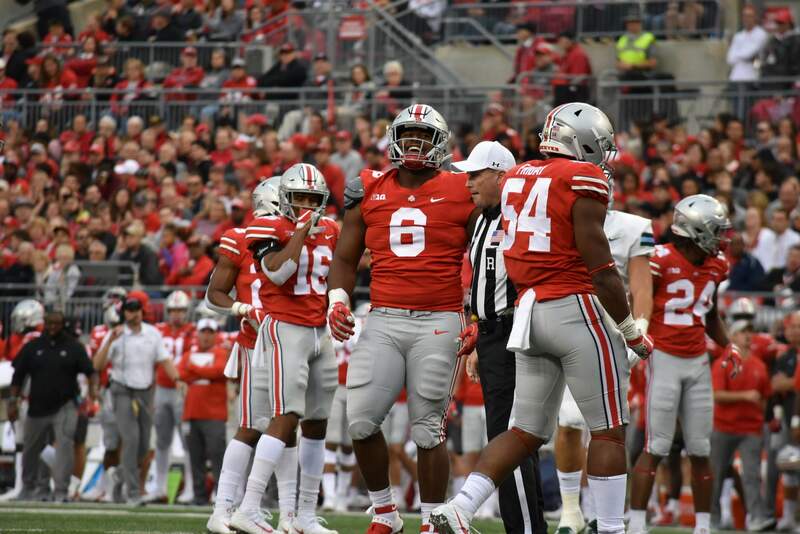 Haskins returned to the field at quarterback late in the second quarter and engineered a quick score to give Ohio State a 41-6 lead at the break. Austin Mack was on the receiving end of a 14-yard touchdown pass with under a minute to play. Haskins finished the half 21 of 24 through the air for 304 yards and five touchdowns. Tulane opened the second half with the ball but could not advance past its 6-yard line. The Buckeyes took over at the Ohio State 45 after a Green Wave punt. Martell started the half at quarterback for the Buckeyes. 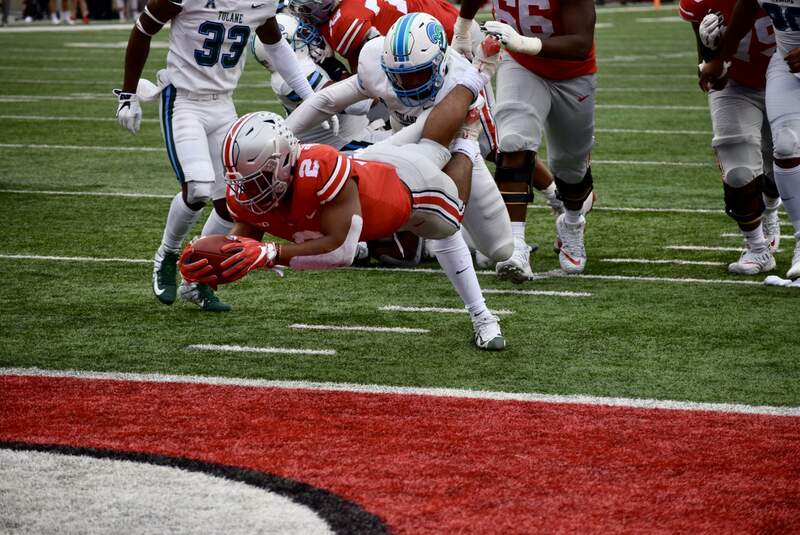 Ohio State stalled at the Tulane 49 forcing Ohio State’s first Drue Chrisman punt of the game. Tulane took over at its 11. Tyler Friday sacked Tulane’s Jonathan Banks at the Green Wave 17 forcing a punt. Ohio State took over at its 49. Ohio State’s offense was again quarterbacked by Martell on the Buckeyes’ next possession. After the drive stalled, another Chrisman punt pinned Tulane on its 2-yard line after a 51-yard boot. 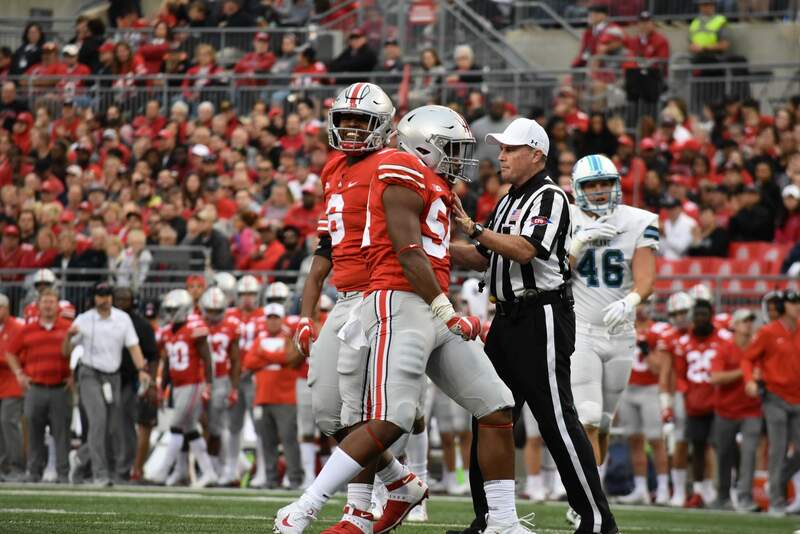 The Green Wave drove to the Ohio State 26, aided by a 39-yard pass play, before the quarter ended with the Buckeyes in control 42-6. The Silver Bullets held strong once again in the 4th quarter, holding Tulane scoreless during the second half. The Buckeyes’ offense controlled the clock during the final frame, logging seven first downs. The drive was punctuated by a one-yard touchdown run from Martell to help seal the victory.